When you’re on a diet, it’s normal to look for sustenance that will maintain your energy without too much calorie intake. 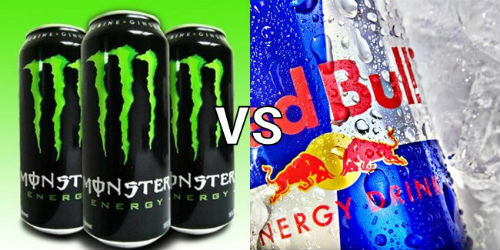 Here, we will present the best energy drinks reviewed and listed. Check what your choice has in it. Do you want that “extra punch after lunch”? Red Bull is still dominating the energy drink world with their energizing cans of liquids. An 8.4 fl oz. can of the Red Bull Sugar-free Drink only has five calories and is packed with B vitamins to revitalize your lethargic body. It capitalizes on caffeine to keep you energetic. It also has Taurine, Inositol, and Citric acid for an awakening combination. But the downside here is that it’s sweetened using aspartame. As you know it, aspartame is an artificial sweetener that can actually make you fat. With that, it’s advisable that you drink Red Bull in moderation. Monster’s zero calorie count beat Red Bull a notch. A 16 fl oz. of this is less sweet, a bit citrusy, and lighter in taste. Like the Red Bull drink, Monster is also stacked with lots of nutrients. It has L-Carnitine that helps in burning fats and producing energy. Aside from that, it also has B Vitamins and potassium. But as much as it’s zero in calories and less sweet, they also have “artificial flavors”. What flavor or chemicals are those, the manufacturers only know. I think it’s fair to say that as one of the best energy drinks reviewed, Monster is still a safe drink if taken in moderation and precaution. This isn’t advisable for kids, pregnant women, and those with heart conditions. From its packaging of bursting yellow, you already know what to expect. The Rockstar Energy Drink has different stacks of acids, B vitamins, caffeine, and herbs. The manufacturers claim that this has electrolytes, which will likely beat Red Bull and Monster. But the sad truth about the Rockstar Energy Drink is that it’s not sugarfree. It has six grams of sugar and 10 calories in one 16 fl oz. can. Still, this wouldn’t be a big dent on your diet if you drink this once a day. The lemony taste of Rockstar is refreshing and it’s known as a recovery drink for people on the go. AMP Energy Drink boasts its series of great flavors. 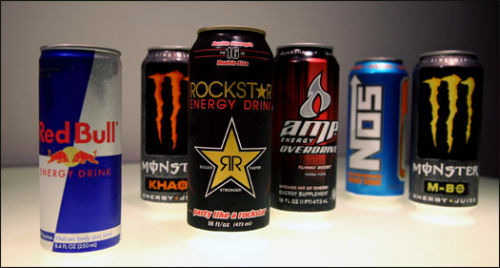 They believe that energy drinks shouldn’t just energize your body, but also titillate your taste buds. Each 16 fl oz. can have Vitamin B complex, natural herb extracts, and a stack of acids. A can is indeed energizing, but there’s one information that you might miss on the label. Each can have 120 calories and 31 grams of sugar. This calorie content is more than those of three cups of popcorn or an 8 fl oz can of regular Coca-Cola. If you’re on a strict diet, AMP Energy Drink might not be a good choice. If you want the top boost for your energy, NOS is a great choice with its 260 mg of caffeine in every 16 fl oz. can. It’s packed with B Vitamins, L-Theanine, Taurine, and natural herbs. For safe ingestion, you shouldn’t drink more than one can in less than six to eight hours. As one of the best energy drinks reviewed, one can of NOS contains a staggering 200 calories. It’s equal to more than half a kilo of broccoli or three boiled eggs which are way satiating. If you’re drinking this as a replacement for solid food, I might as well recommend that you eat solid foods instead. Full Throttle markets its “no-choke” formula that has B Vitamins, caffeine staple, and a combination of different acids and flavorings. Its full agave flavor is the hit among drinkers, but one can of this has 220 calories. That amount is equivalent to one meal already. Full Throttle is also high in sugar with 58 grams in one can which is too much than the suggested intake of added sugar that’s roughly 38 grams. Zero calories and zero sugar. Xyience is also packed with B Vitamins, ginseng extracts, and 176 mg of caffeine. Though it markets the no sugar claim, it still has artificial sweetener like Sucralose that’s close to those magic sugar pills. Nevertheless, it’s a bit guilt-free to drink, unlike NOS and AMP. Still, you shouldn’t drink more than one can a day to prevent weight gain from added sugars. If you just want a minimal energizing effect, just drink a cup of black coffee. With the best energy drinks reviewed, you can now identify which drink suits your weight loss plan really well. If you read the labels carefully, you won’t miss hidden sugars and unhealthy ingredients. Did this post help you? Let us know in the comment section!